Spider plants are tropical plants from South Africa that have become naturalized in tropical areas all over the world. 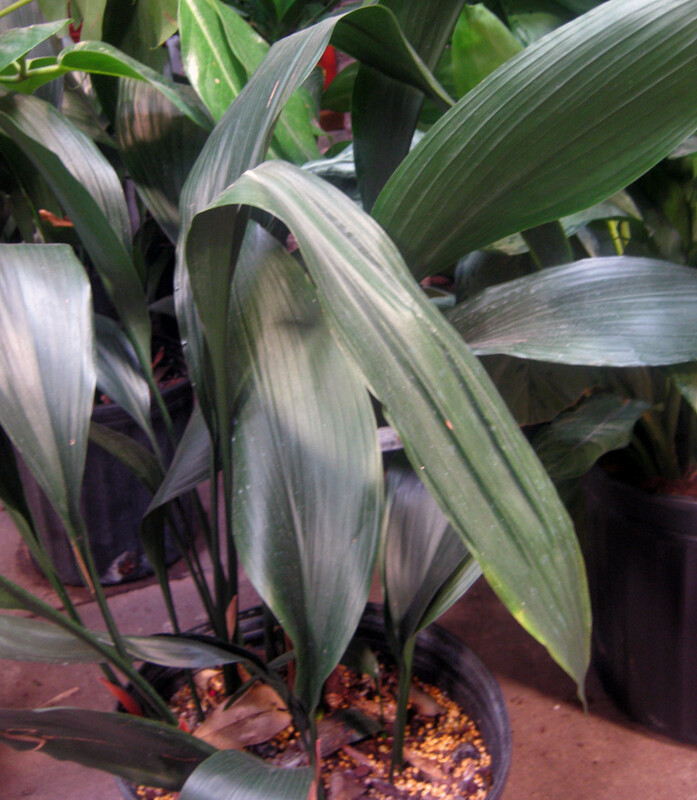 Hardy in zones 9 through 11, they are often used as ground cover or edging in tropical and sub-tropical landscapes. Their only drawback is that they can become invasive in these situations. North of zone 9, they are grown as annuals outdoors because even the lightest frosts kill them. Spider plants are a popular edging along walks or around the edges of container plantings. 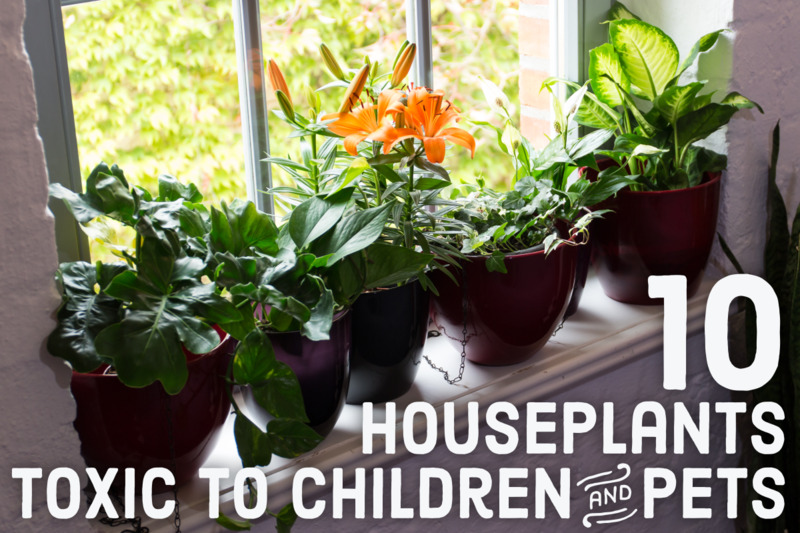 By far, their most popular use is as houseplants. Indoors or outdoors, they make spectacular hanging plants that can reach 3’ in length. They produce small white flowers year-round. They come in two varieties. 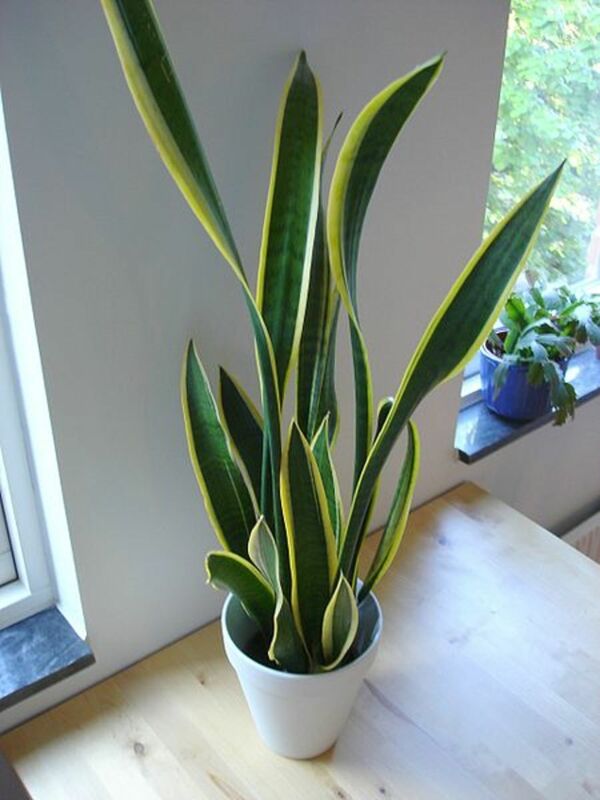 One with solid green leaves and the other with variegated green and white leaves, both of which have leaves that are 10” to 16” in length. There is also a dwarf spider plant that has green leaves with a central yellow stripe that are only 4” to 6” long. Spider plants should be grown in well-drained soil, fertilized during the summer and watered only when the soil becomes dry. Over-watering results in root rot. Spider plants are sensitive to fluoride. 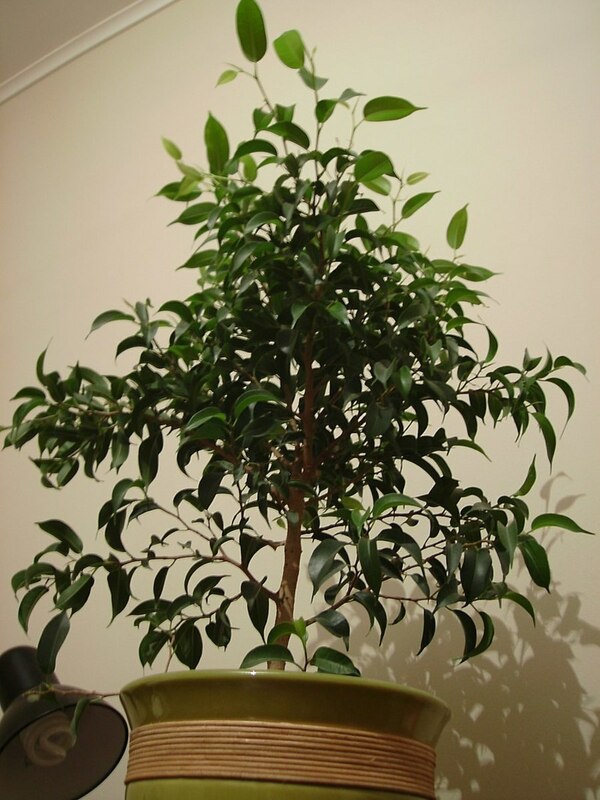 If the tips of the leaves turn brown, switch to distilled water. Fertilize your plants twice a month during the active growing season in the summer using a water soluble fertilizer suitable for houseplants. Brown leaf tips can also indicate that you are over-fertilizing your plants. The best way to avoid that is to use pellets or time release fertilizer at the beginning of the summer. Do not fertilize your plants during the winter when they are not actively growing. 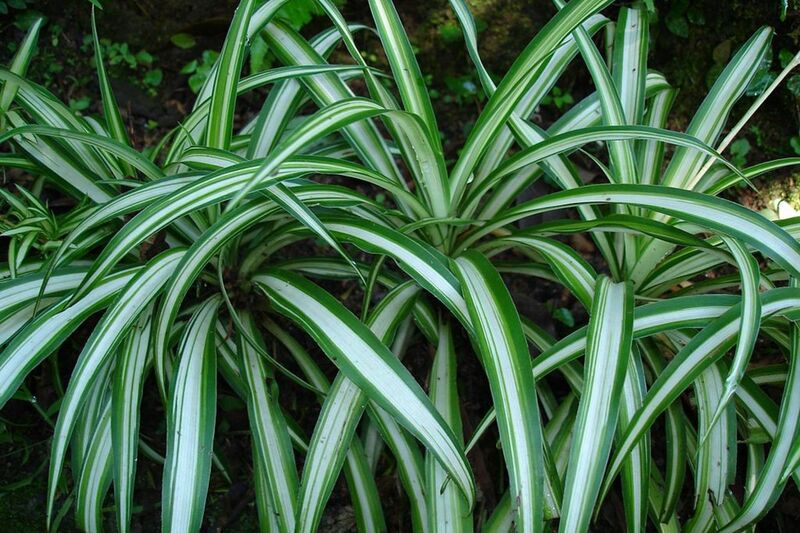 Spider plants like bright indirect light but not direct sunlight which will scorch their leaves. I grow my spider plant in a north-facing window. They can survive in semi-shade but will not grow as well. They prefer cooler temperatures. Daytimes, 65°F to 75°F and at night, 50°F to 55°F. If you have put your plants outdoors for the summer, you will need to bring them back indoors when nighttime temperatures fall below 50⁰F. Spider plants are sensitive to very cold temperatures, so do not place them near an outside door where they will be subject to cold drafts every time the door is opened during the winter. If you are growing your plants close to a window, It is a good idea to move back away from the window during the winter also. Remember, these are tropical plants. Since spider plants put all of their energy into producing plantlets, also known as pups, they do not grow quickly so they don’t need to be repotted every year. Repot your plants in the spring when the fleshy roots start showing above the soil, about every other year. 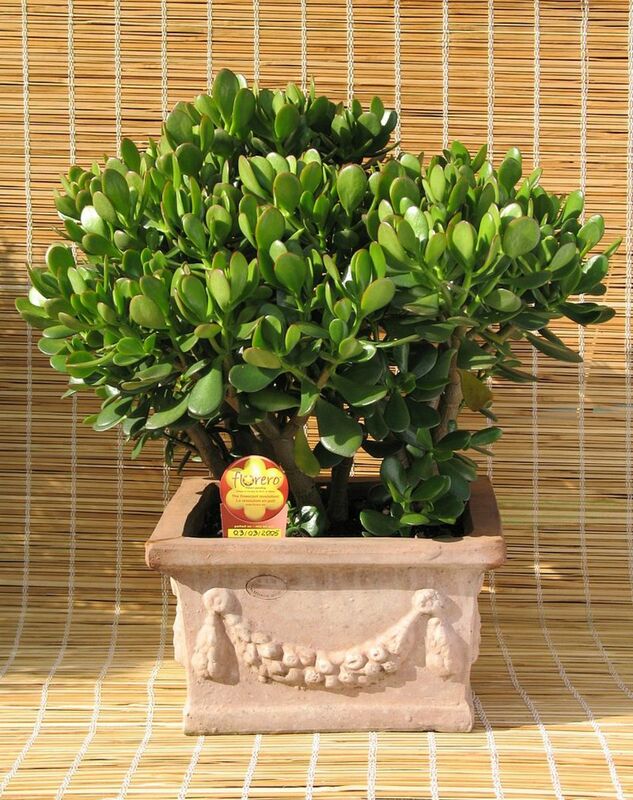 Wait at least 4 to 6 months before fertilizing your repotted plants. Propagation is simple. The plants do all the work for you by producing pups on long stems. When the pups are about 2 inches in size and start to develop roots, it’s time to plant them in their own pots and either add to your collection or share with family and friends. Carefully cut the stolon, the stem that attaches the pup to the parent plant, to separate the pup from the parent plant. Plant the pup in its own container. Cut the other end of the stolon from the parent plant to neaten it up. It will take two years for the new plants to mature and start making pups of their own, so be patient. You can also divide your plants when you repot them in the spring. Gently pull the plants apart and then plant each division in its own pot. Wait 4 to 6 months before fertilizing your divisions. 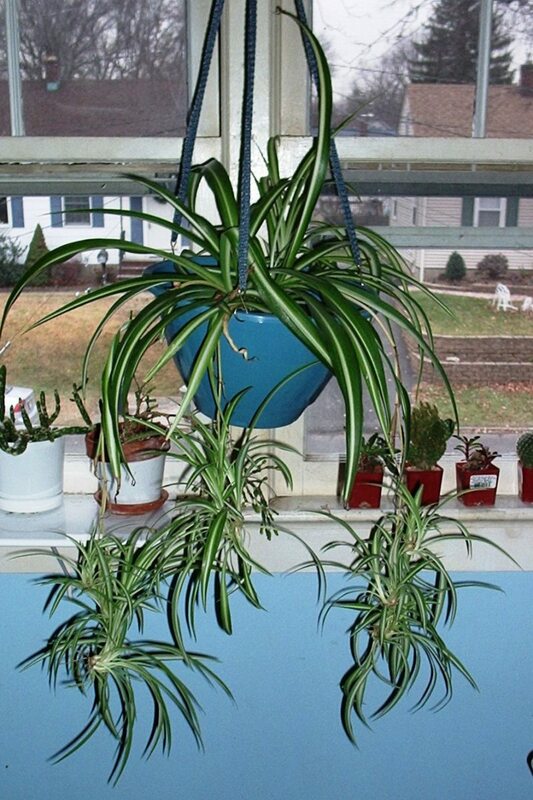 Spider plants are great for beginners. They are not fussy, growing in almost any conditions. Why doesn't my spider plant produce any plantlets? I've had it for several years. It could be due to several reasons. It could be that your plant is getting too much light or not enough light. Your plant could be getting chilled in the winter if you live in a cold climate or maybe it is too hot in the room where it is kept. Perhaps it needs to be fertilized. What kind of potting soil is needed for a spider plant? No, that will kill the plants. 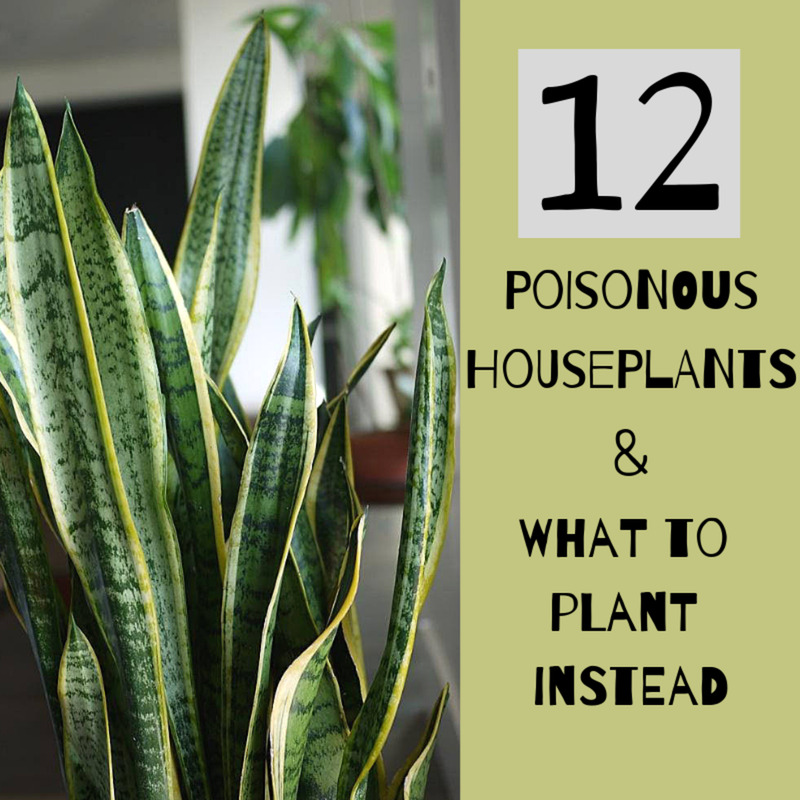 Not all houseplants like to be pot bound. 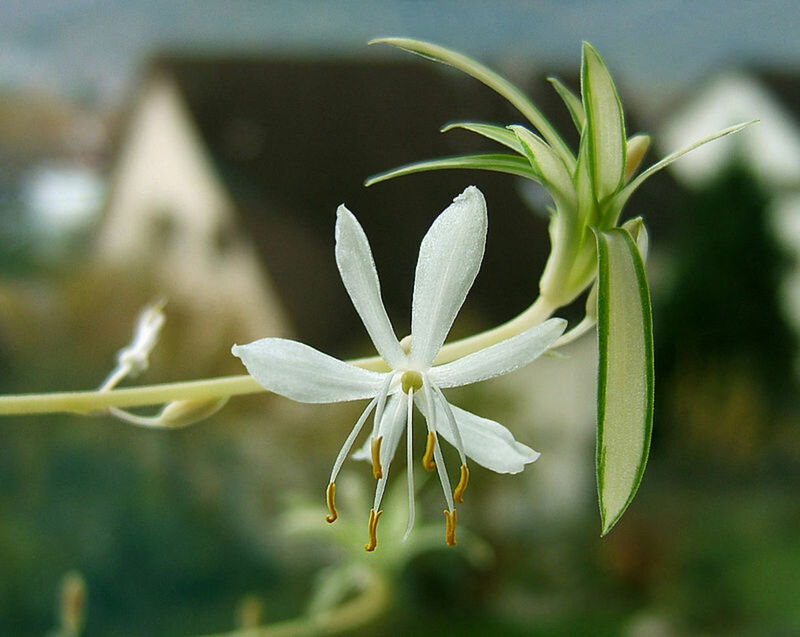 There is a dwarf spider plant that will stay small for you. Look for it in specialty nurseries or online. Can I dwarf my plants by keeping them in small containers? I love these plants because they need very little care and it is easy to look after them. Nice hub Caren. Maybe you over-watered. I do that a lot. It's why I can never grow cacti! I killed mine a few years back I thought by using fertilizer but maybe it was something else. I am bad to over water things. Thanks, Flourish. You should try spider plants again! Spider plants are about my speed. I recall growing them as a child using dropped and discarded clippings from a neighbor's apartment balcony. Good hub! Thank you, Eddy! Glad you are enjoying your spider plant. They are so rewarding. We have a huge Spider Plant and have re potted many little ones. 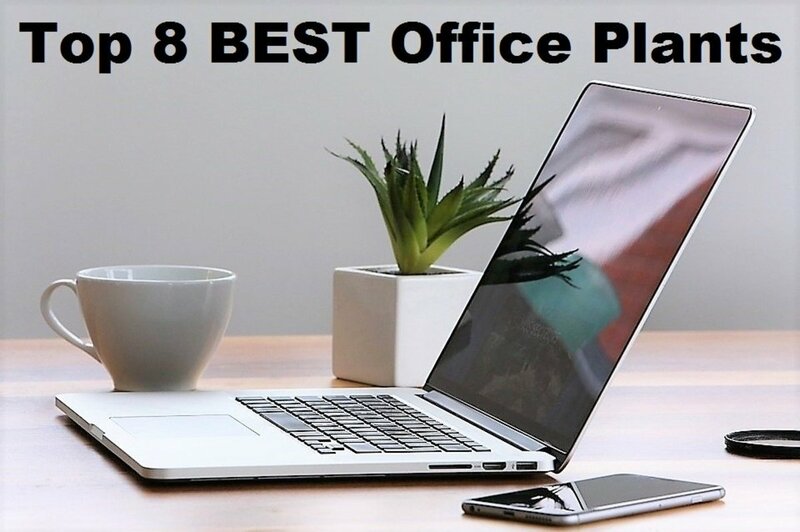 this is a great hub and thank you for sharing.